Selling a shared ownership home is known as a resale and can be done at anytime. Depending on the lease, Moat may have up to two months to find a suitable buyer for the share being sold to help another household into home ownership; an estate agent should not be instructed during this time. Any potential buyer of the share being sold, needs to meet the eligibility criteria for shared ownership. If Moat are unable to find a buyer, the share can be sold through an estate agent and their fees are payable by the shared owner selling their home. Please read our guide to 'Selling your shared ownership home' for further information. The sales price for a resale is determined by a RICS valuer which can be selected from our panel of surveyors. To sell a Moat shared ownership home, please complete the online application form. The Resales Team are happy to help with any questions you may have regarding buying or selling a Moat resale home! 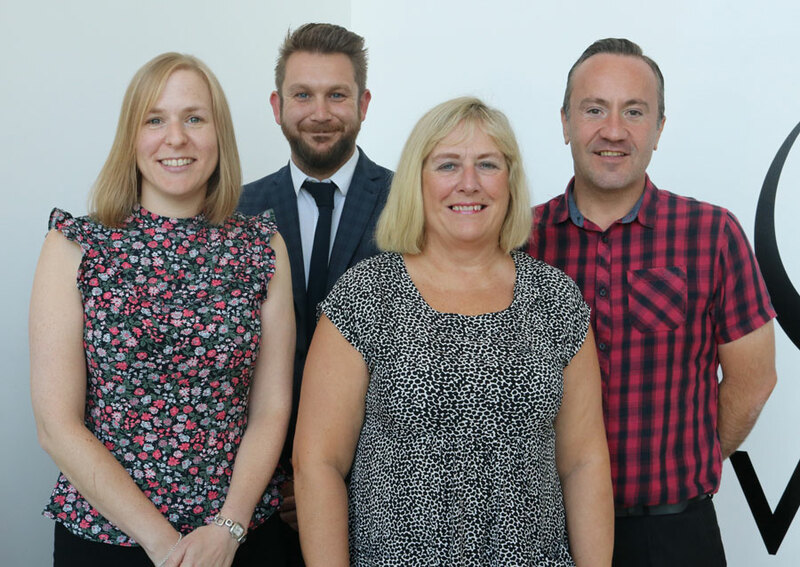 Left to right: Sarah Peake (Resales Manager), Max Selby (Resales Officer), Gail Hunwick (Resales Officer) and David O'Donovan (Resales Officer).